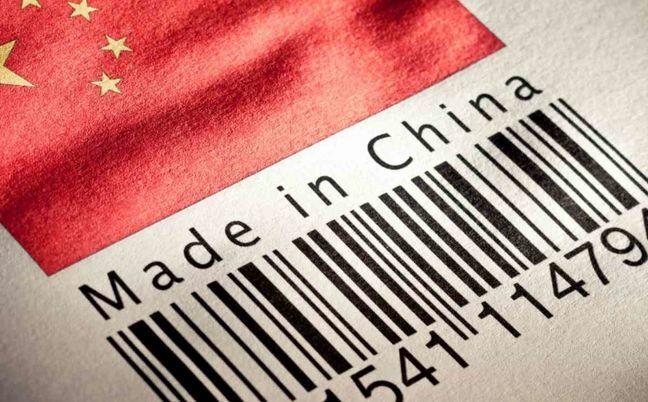 EghtesadOnline: Earnings growth for China’s industrial firms cooled in July after accelerating for three straight months, reinforcing expectations the economy will slow over coming quarters as higher lending costs and property market curbs bite. Profits earned by China’s industrial companies in July rose 16.5 percent from a year earlier to 612.7 billion yuan ($92.18 billion), slower than the previous month, the statistics bureau said on Sunday. According to Reuters, that was the slowest rate of growth since profits rose 14.0 percent in April. Profit growth slowed in July because some companies halted production due to especially high temperatures, He Ping of the National Bureau of Statistics bureau said in a statement along with the data release. For the first seven months of the year, the firms notched up profits of 4.25 trillion yuan, a 21.2 percent jump from the same period last year and a touch slower than the 22.0 percent annual growth in the January-June period. Earnings for the industrial sector were boosted by a year-long, government-led construction spree, which fueled demand and prices for building materials. Government efforts to shut older, heavily polluting mines and factories have given commodity prices fresh impetus in recent weeks. Strong earnings, in turn, have opened the way for fresh investment, and given the country’s long ailing “smokestack” industries more cash flow which could, in theory, be used to start paying down a mountain of debt. Aluminum Corp of China Ltd (Chalco) (601600.SS) (2600.HK) reported on Aug. 17 that its six-month net profit rose more than tenfold year-on-year as it cashed in sky-high aluminum prices. A day later, China’s top state-run aluminum smelter said it will be making further investment in raising output in the second half of the year. The manufacturing sector, which accounts for 88 percent of industrial profits, saw profit growth of 18.1 percent in the first seven months, trending down only slightly from 18.5 percent in the first half. But analysts say economic growth is starting to slow as measures to cool heated property prices and clamp down on riskier forms of lending put the brakes on activity. Beijing’s efforts to reduce debt have pushed up lending rates, signaling tighter margins and tougher operating conditions for firms as debt servicing costs go up - a sign of slowing earnings growth over coming months. In addition to slower profit growth, Sunday’s data showed profit margins and account receivables days outstanding weakened slightly in July after improving for the last two months. Industrial firms’ net profit margin fell to 6.09 percent in July from 6.11 in June. Weaker performance in the industrial sector is in line with July economic data that was mostly weaker than expected, after forecast-beating GDP growth of 6.9 percent in the first half. At the end of July, industrial firms' liabilities were 6.6 percent higher than a year earlier, compared with a 6.4 percent increase at the end of June. Profits at China's state-owned firms were up 44.2 percent at 927.4 billion yuan in January-July, compared with a 45.8 percent rise in the first six months. The data covers large companies with annual revenue of more than 20 million yuan from their main operations.